Choose Leamington Chrysler, for a personalized purchase experience. Owning a vehicle is about so much more than simply getting from point A to point B. You want to experience the thrill of driving, explore new roads, and have an adventure! If you're after an SUV, choose the most awarded one ever-the Jeep Grand Cherokee. If tackling tough terrain is your new hobby, choose the Trailhawk model for Trail Rated capability. 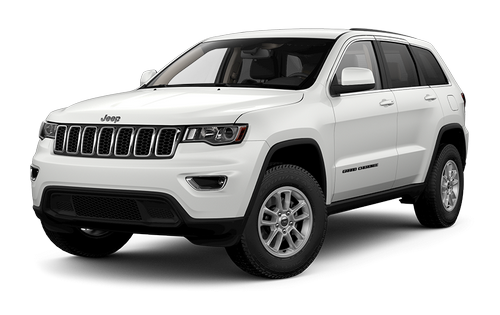 When you're looking for a Jeep Grand Cherokee near Kingsville, come to Leamington Chrysler. Our dealership is just a short and scenic drive from Kingsville and has a fantastic selection of Jeep Grand Cherokee SUVs for you to take a look at and take for a test drive. We understand that purchasing a new vehicle is a big decision and want you to be completely satisfied with your purchase. Visit us today at 170 Oak Street W, Leamington, ON or call 519-326-9052. To us, you're more than just a number. Receive customized service based on your unique needs! With a head-turning exterior and a streamlined front grille, you're sure to stand out from the crowd in this vehicle. Choose the Trackhawk for the most powerful SUV ever or the Trailhawk for Best-in-Class 4x4 capability. With so many excellent models-each with their own great features-it will be hard to choose just one Grand Cherokee to take home. The Grand Cherokee Trailhawk is a dominant off-road performer with its authentic Trail-Rated Quadra-Drive II 4x4 system with rear electronic limited-slip differential capability. You'll have Best-in-Class 4x4 capability and Best-in-Class V8 towing with a capacity of up to 3,265 kg. Conquer new paths with 4 highly-advanced 4x4 systems including: Quadra-Trac I, Quadra-Trac II, Quadra-Drive II, and Quadra-Trac SRT active on-demand. Engineered to make every day legendary, the Jeep Grand Cherokee comes with 4 powerful engines to get you wherever you want to be with ease. The 3.6L Pentastar VVT V6, the 5.7 L HEMI VVT V8, the 6.4 L SRT, built exclusively for the SRT, and the SUPERCHARGED 6.2 L V8 for the Trackhawk. Keep your Grand Cherokee tuned up and ready to go by taking it in for regular maintenance at our Service Department. Our highly qualified technicians will take excellent care of your vehicle and have it back on the road in a timely manner. You can book your service appointment online using our fast and easy to fill out service form.